Home / HVAC Technician / How Much Does HVAC Technician School Cost? How Much Does HVAC Technician School Cost? If you’re wondering about HVAC technician school cost, then this article will help you understand how much it will cost. A typical undergraduate certificate program for an HVAC technician has a cost of $6,000, plus $500 for supplies and books. An undergraduate certificate program for an HVAC technician is a predominantly technical vocational training with the objective of learning concretely the know-how provided. The duration of the training and the certificate varies according to the objectives to be attained and the initial level. Themes and modules are to be chosen and the duration of each can be customized. A typical undergraduate certificate program for an HVAC technician will involve courses covering: protection against over-voltage, over-current protection, continuous current circuits, basic electrical quantities, the risk of indirect contact with electricity, choice of protective device, alternating current circuits, protection against current leakage, risk of contact with electricity, wiring diagrams, three-phase circuits, the risk of direct contact with electricity, applied mechanics, brazing, workshop projects, applied instrumentation and regulation, copper work and isometry, maintenance, industrial applied electricity, refrigeration technology, socio-professional integration, piping, machining, industrial pneumatic, industrial hydraulics, electromechanical preventive and corrective maintenance, customer relations, and computing / office automation. You’ll also learn: dimensioning of power, choosing a heat pump depending on the application, commissioning and basic settings (practical examples), choice of hydraulic principle, practical demonstrations on installed and operational equipment, understanding the rules of assembly, practical exercises on examples of different new or renovated buildings, and the operating principles of the various components of a heating system: mixer valve, circulation, expansion tank, differential valve, zone valve, boiler, burner, etc. The HVAC maintenance technician can work in two distinct sectors, industrial and commercial refrigeration for product conservation and air conditioning. 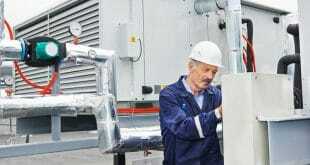 The HVAC maintenance technician carries out his work, depending on the context, alone or in a team, on site. The HVAC technician performs installation, commissioning, maintenance, and troubleshooting of refrigeration or HVAC installations. The HVAC technician is responsible for the implementation, assembly, wiring, commissioning, development, and troubleshooting of “commercial” and other HVAC systems. The HVAC technician can also be responsible for maintenance or after-sales service. 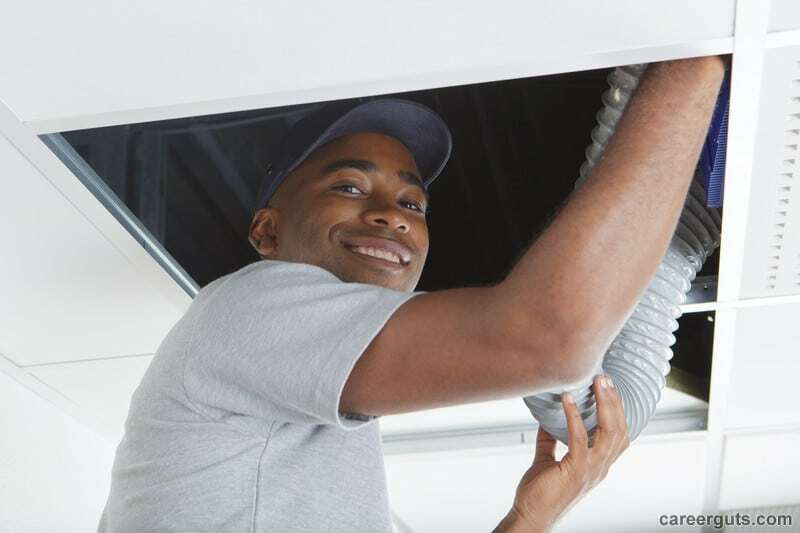 The HVAC technician’s versatility allows them to intervene on HVAC techniques as well as on the peripheral techniques of installations: mechanics, electricity, automation, welding, etc. Although this activity sometimes requires travel, schedules are generally regular. The HVAC maintenance technician also moves or handles loads and works at heights. The commercial HVAC service technician is a professional capable of selecting, installing, commissioning and maintaining equipment used for the preservation of perishable foodstuffs installed at food distribution points, and as well as air conditioning equipment for residential or community sectors: small cold rooms, refrigerated showcases, heat pumps, air-conditioning, etc. During his interventions, an HVAC technician often works alone. An HVAC technician may also be required to supervise and organize a team of equipment repairers for small and medium-sized construction sites, as well as for simple air-conditioning equipment. An HVAC technician intervenes on this equipment and assists the technical manager of the company in all the management tasks and in the preparation of the equipment and interventions. An HVAC technician returns the equipment to the client, informs him/her about the use of the equipment and formalizes the documents relating to the interventions. An HVAC technician’s activity is carried out in a risky context: handling of refrigerants, interventions on electrical equipment and on pressurized vessels. 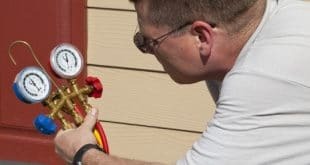 Knowledge of peripheral HVAC techniques, as well as the mastery of the methodologies of installations, development, and maintenance, allow an HVAC technician to integrate: installation of refrigeration equipment, refrigeration systems, air conditioning, after-sales service, service in the field, heat pumps, etc. An HVAC technician missions consists of: analyzing technical problems and proposing solutions, development and operation of refrigeration systems, welding various materials with different processes, participating in modification and improvement work on different techniques, analyzing an automation program and making modifications, servicing and / or maintaining refrigeration units, ensuring preventive and corrective maintenance in electronics and ensuring the installation of commercial refrigeration systems. Next How Much Do HVAC Technicians Make?